The key of the quality of the thick wall black steel pipe depends on the uniformity of the wall thickness. Losing control of the wall thickness of the thick wall black steel pipes will have influence on the quality as well as the application of the seamless welded steel pipe (black steel pipes). 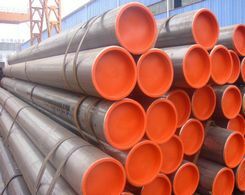 The black steel pipe with thick wall as well as the large diameter is generally used in all kinds of machinery process. The uniformity of the walls of the thick wall black steel pipe directly decides the quality of the process parts in later stage. Choosing suitable places or storages to take care of the thick wall black steel pipe is significant. The storage should be clean and neat, and some place that has clear water draining as well as is away from the factories that generate harmful gas as well as the dust. It is better to clear off all grass and other cats and dogs in order to keep the thick wall seamless welded steel pipes clean. And the thick wall seamless welded steel pipes should not be placed together with materials that have corrosive feature such as acid, soda, salt as well as the cement. 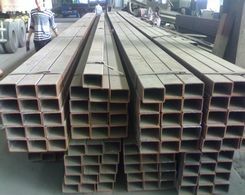 And steel pipes with different styles should be piled up respectively to avoid confusion or connection corrosion. And fashioned iron with large scale, steel rail, steel plates, thick wall black steel pipes with large diameter as well as the forgeable pieces can be placed in the open. Small and medium sized fashioned iron, steel wire rod, rebar, thick wall black steel pipe with medium diameter, steel wires as well as the steel wire ropes can be stored in places that are draughty. Some small sized thick wall seamless welded steel pipe, sheet steel, silicon steel sheet, cold-drawing thick wall black steel pipes as well as metal products can be stored in the storage. The choosing of the storage should rely on the geographical condition. It is general to adopt storage with walls and roof and has rigor windows and doors and ventilation device. The favorable storage environment should be kept always. Make sure the reasonable stacking. Under the condition of stable stacking and ensuring safety, it is necessary to pile up according to the kind, specification as well as the material to avoid confusion as well as the corrosion of each other. The black steel pipes that are piled up in the open should have wood pad under them. And the surface of the stacking should incline a little to be beneficial to water draining. And the materials should be placed straightly to avoid causing deformation or bending. The height of the stacking should be less than 1.2 meters for human work, 1.5 meter for machine work. There should be channels between stacking and stacking.